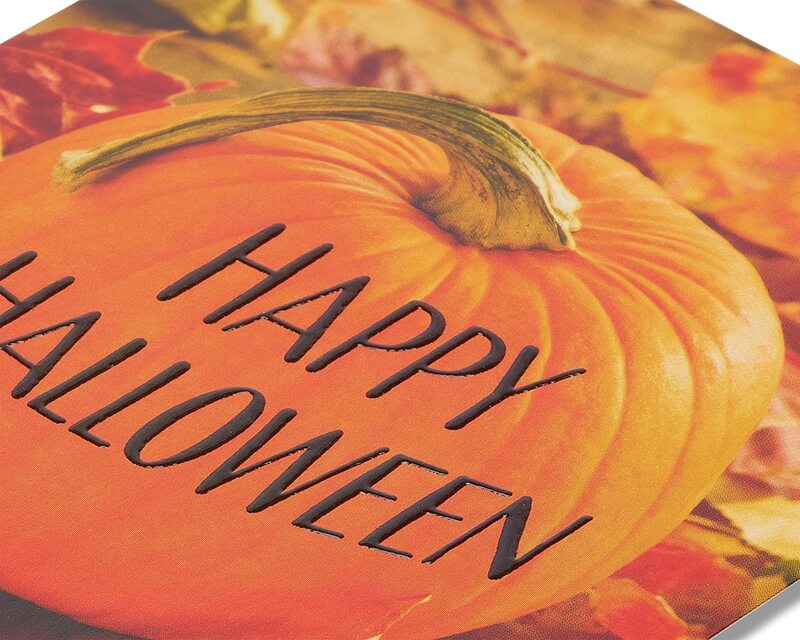 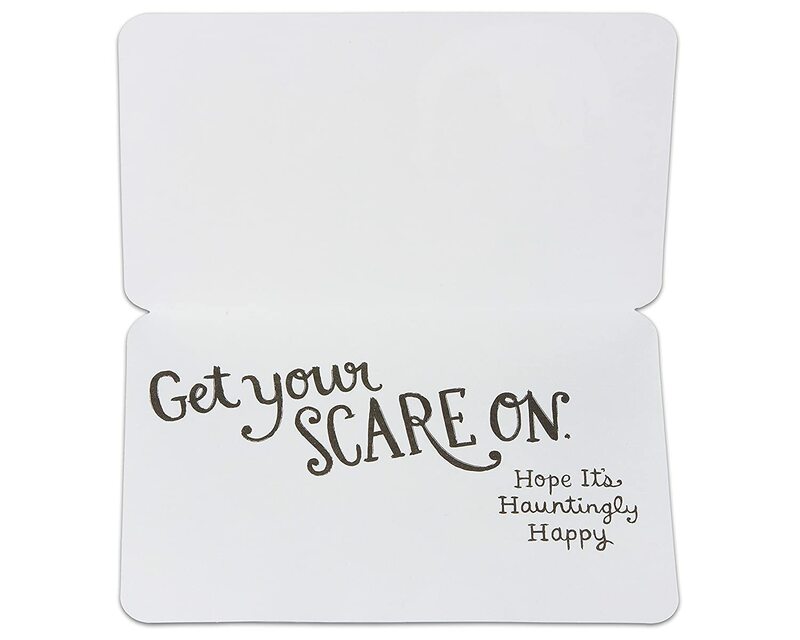 Inside message: get your scare on. 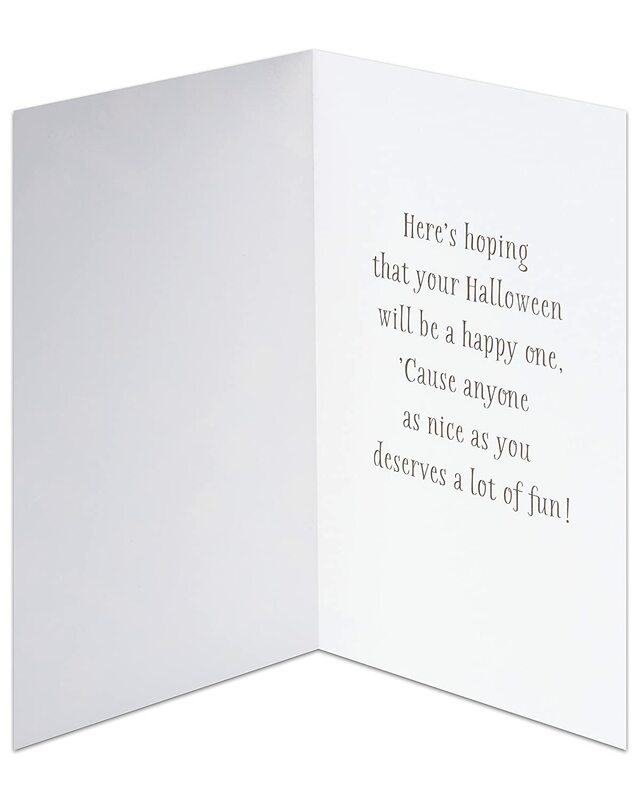 Hope it's hauntingly Happy. 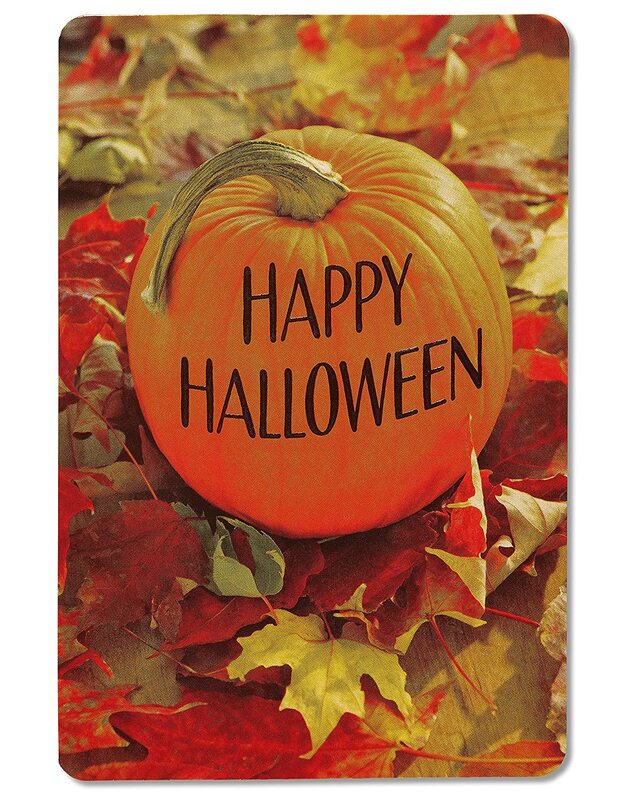 Make Halloween hauntingly Happy for everyone! 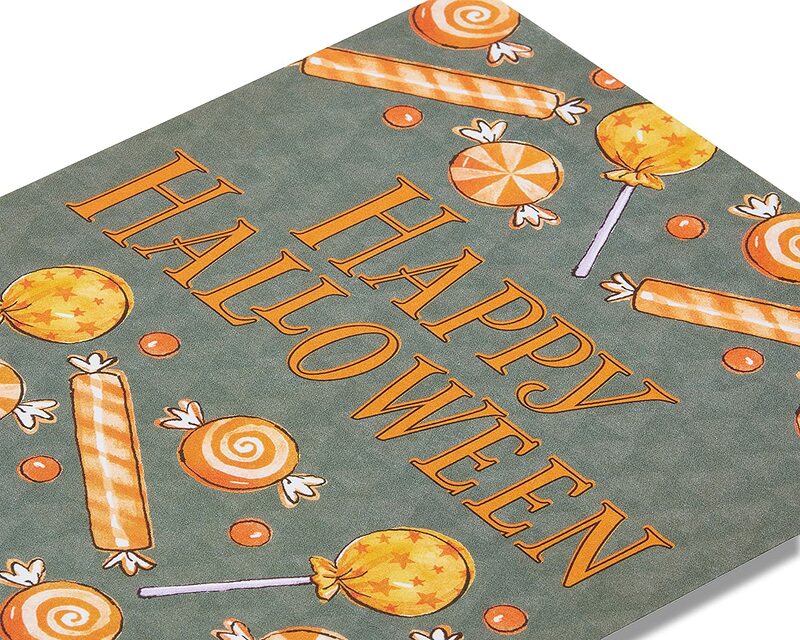 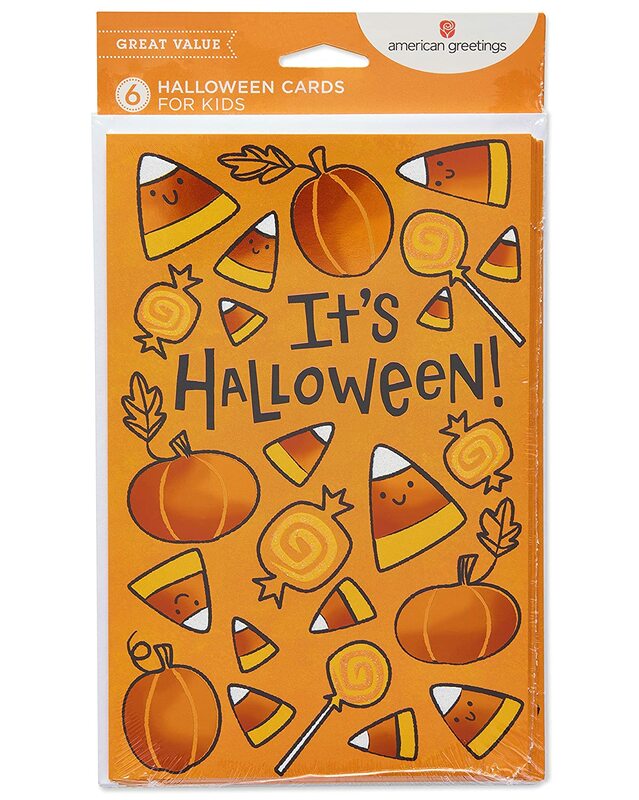 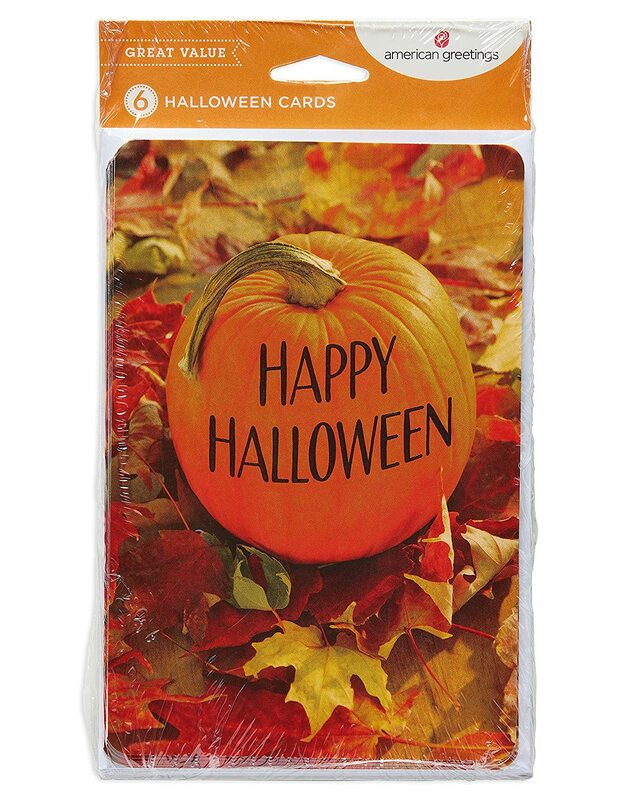 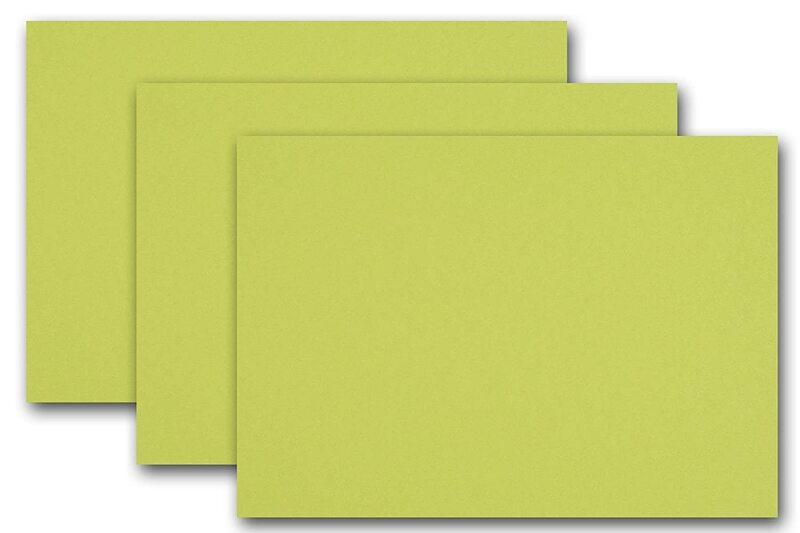 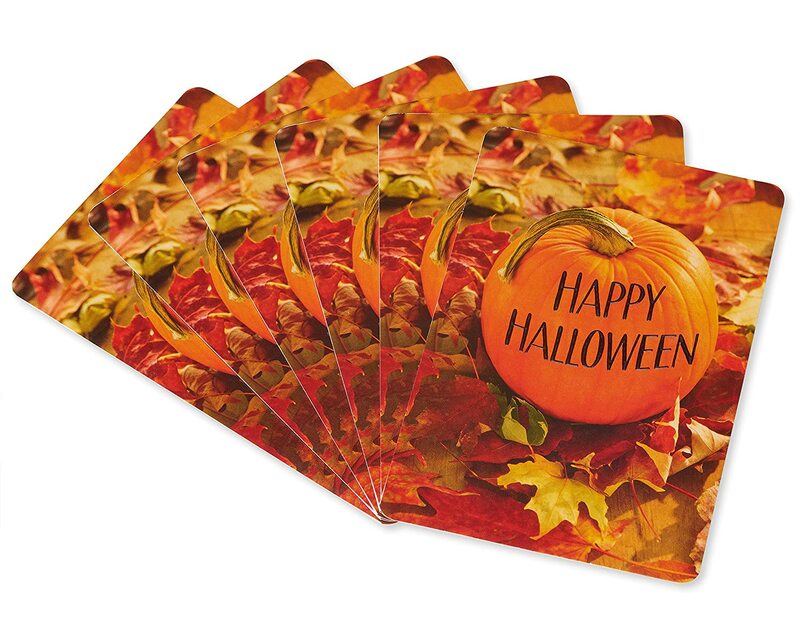 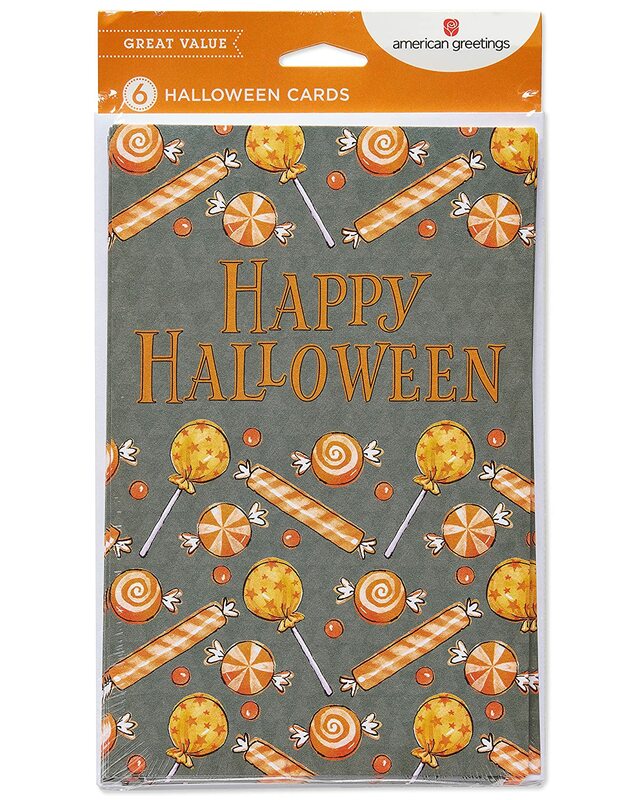 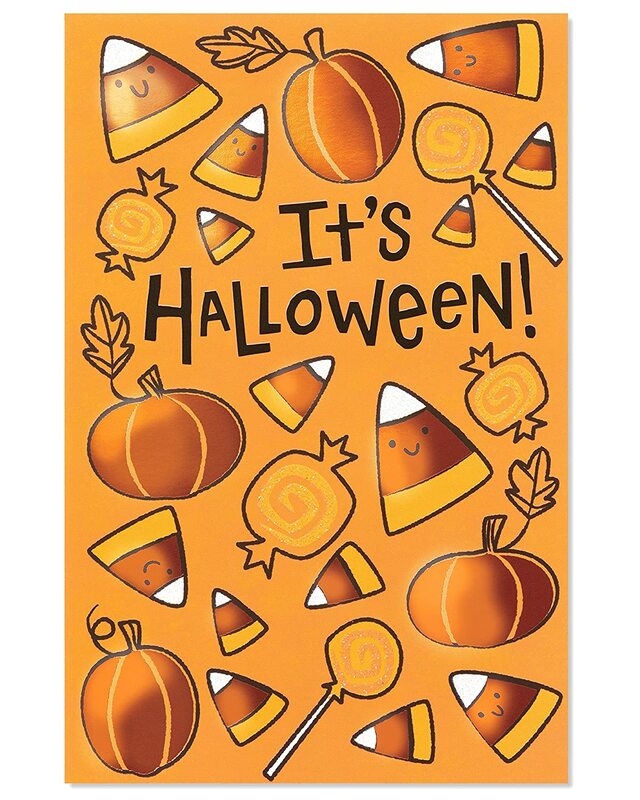 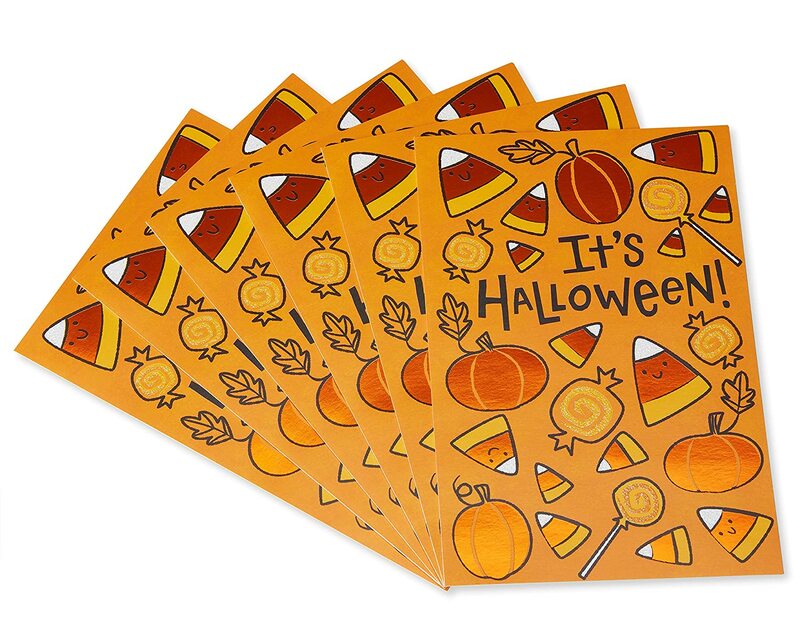 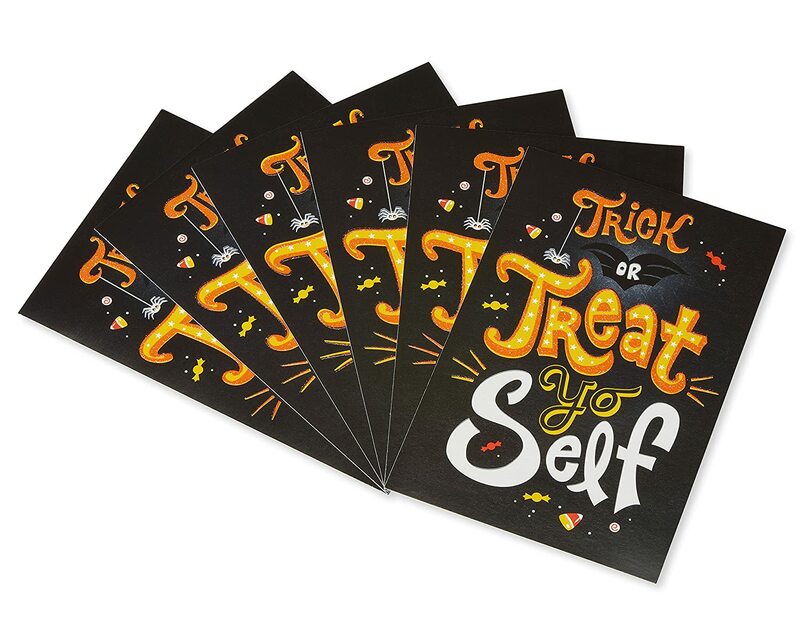 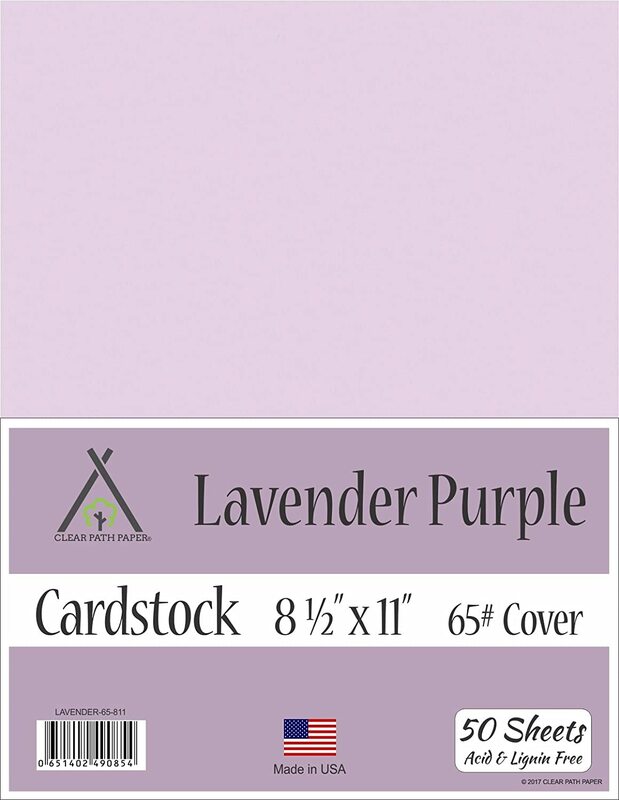 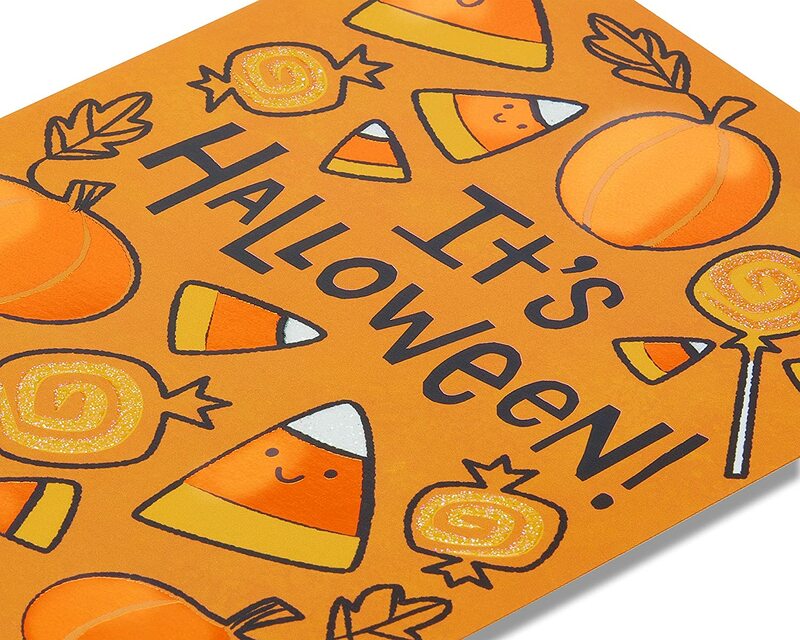 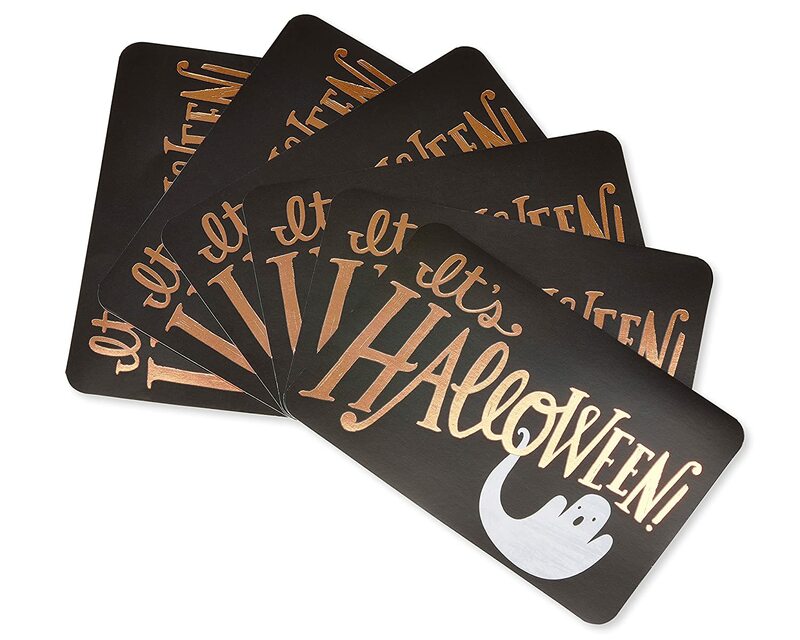 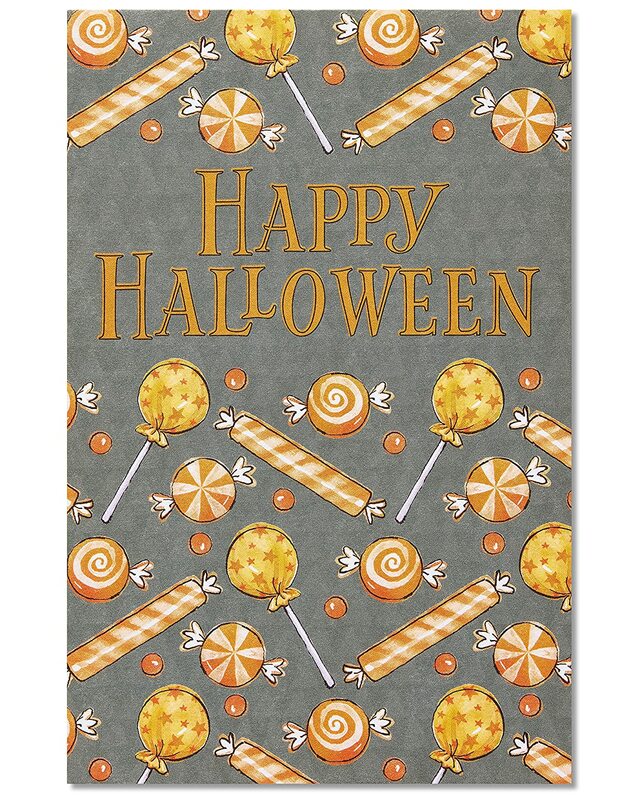 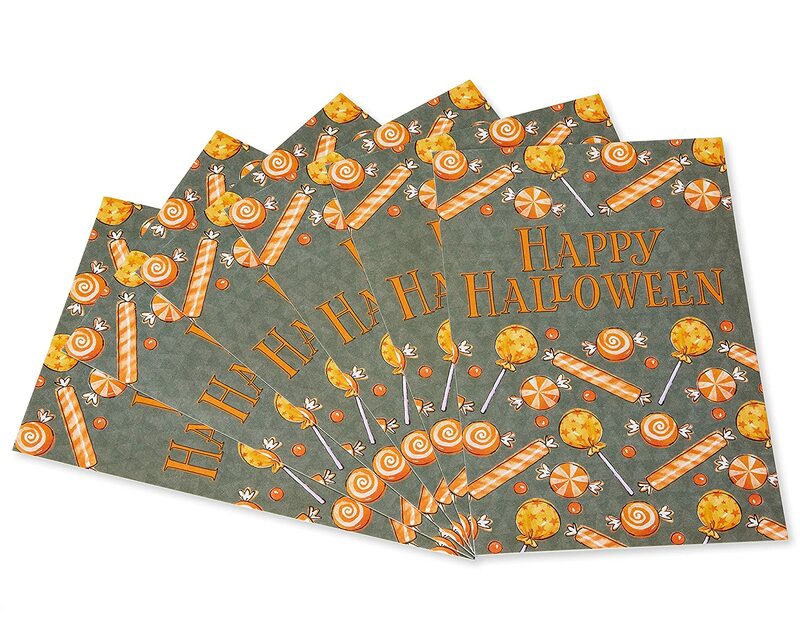 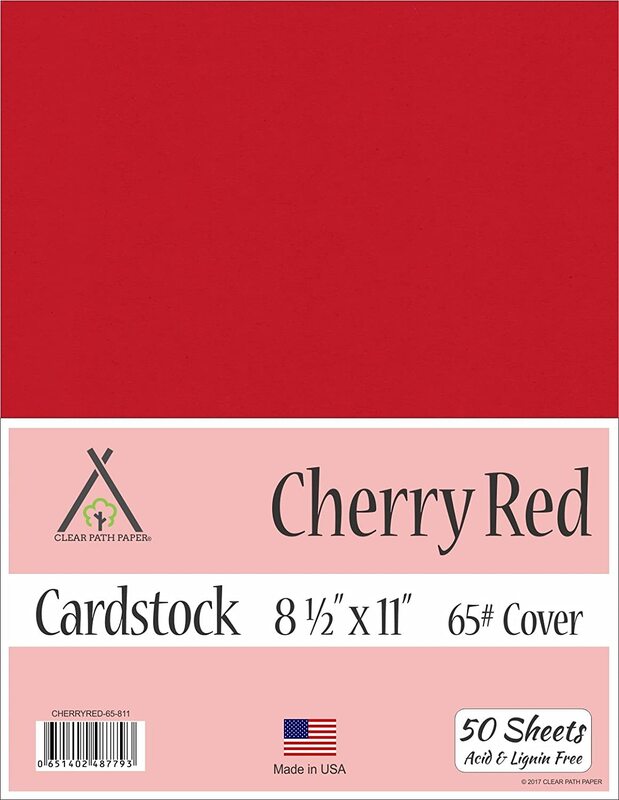 this convenient cello pack of Halloween Greeting cards includes six cards and envelopes and a cards-sent checklist to help keep you organized. 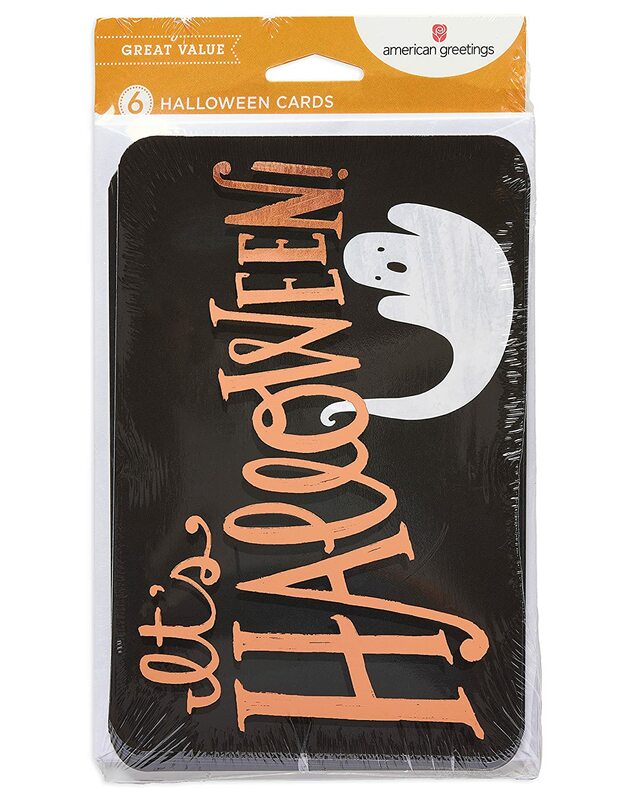 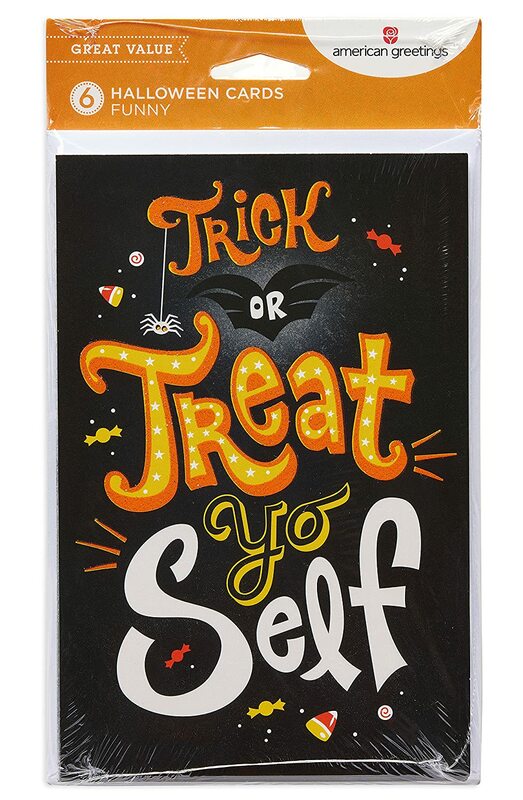 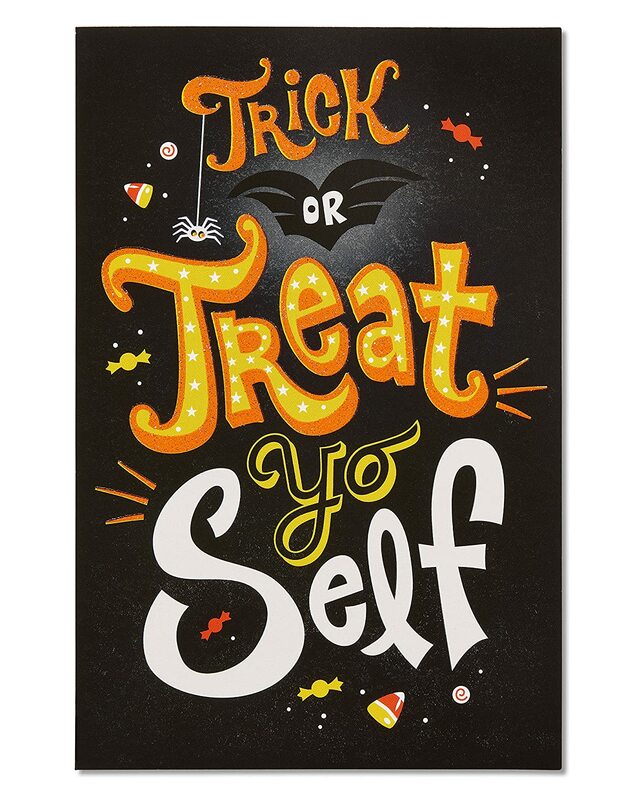 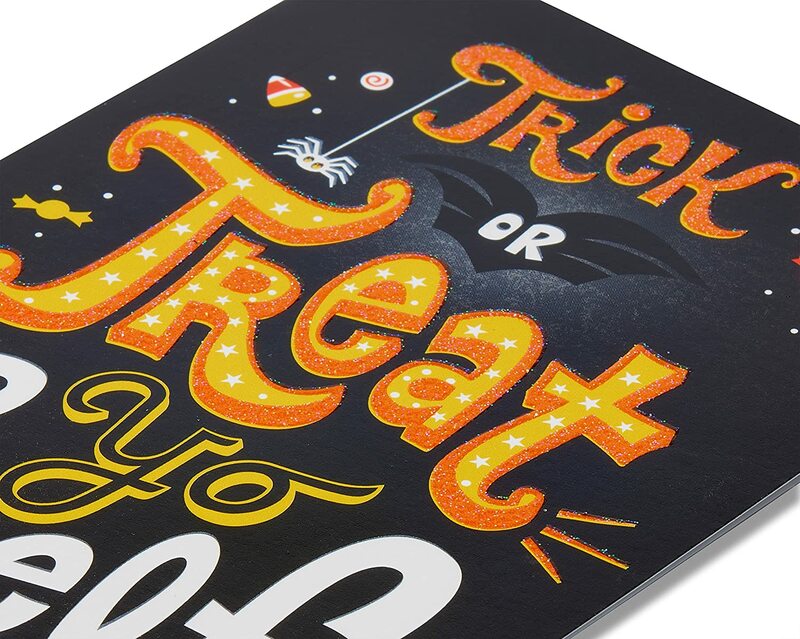 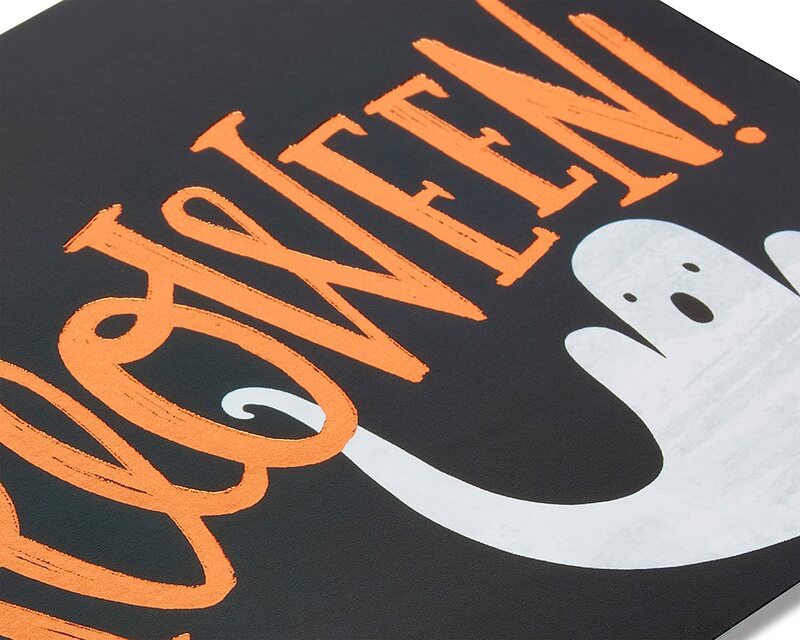 The bold, on-trend design features shiny, orange-foil lettering with a spooky ghost on a black background. 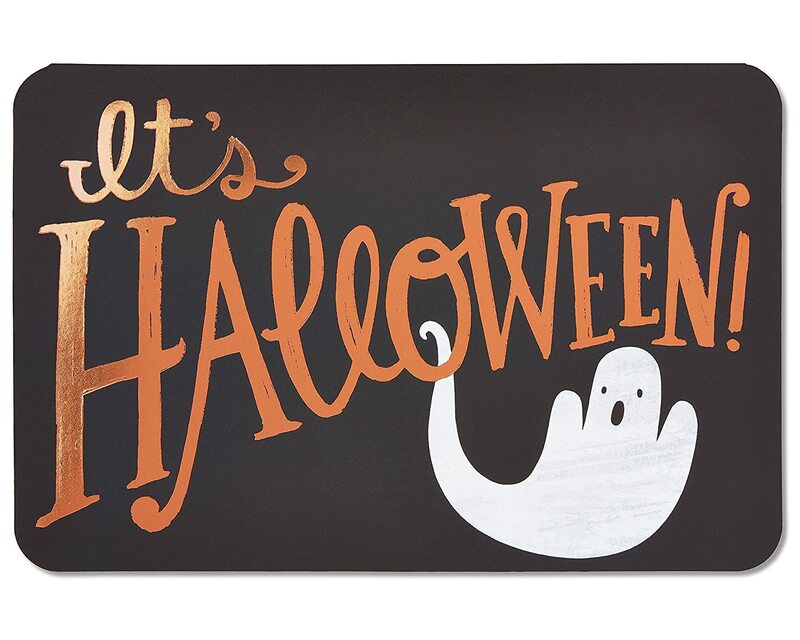 Go ahead, get your scare on! 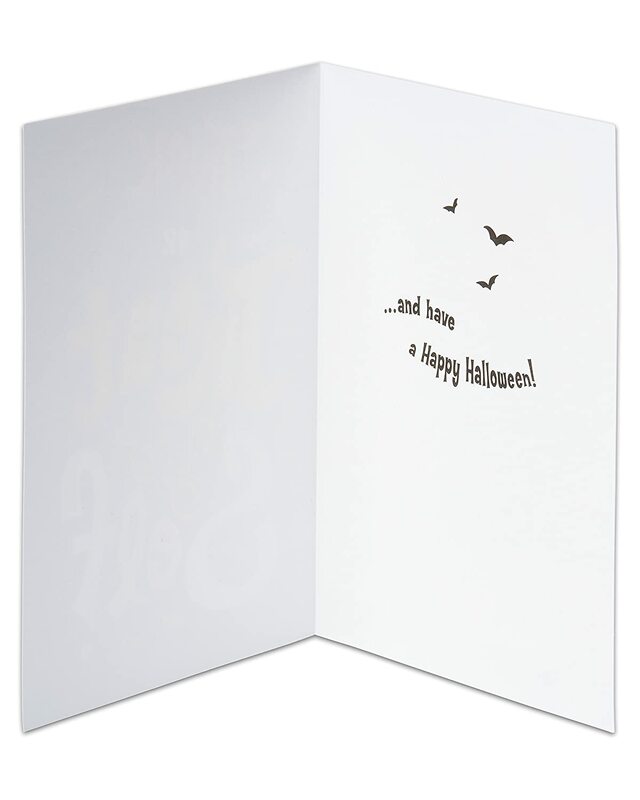 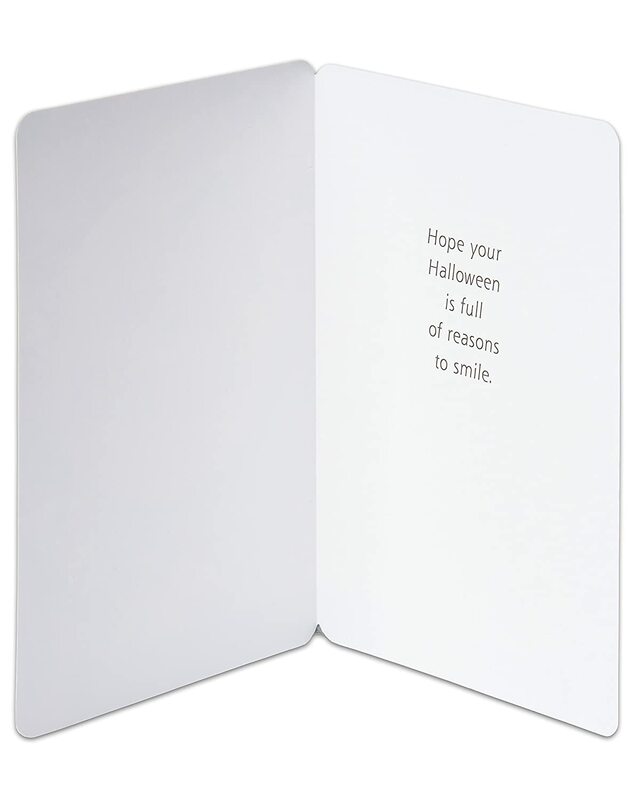 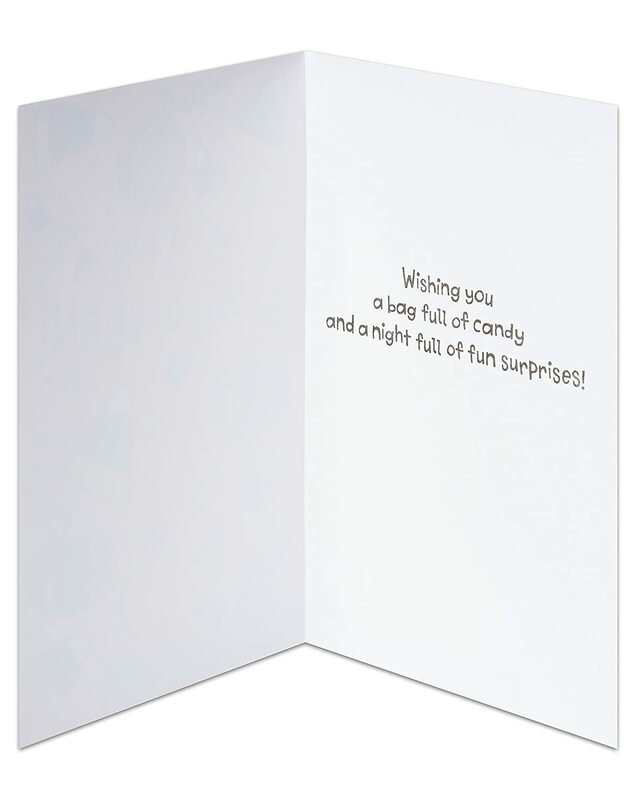 Cute design and the inside message was perfect.